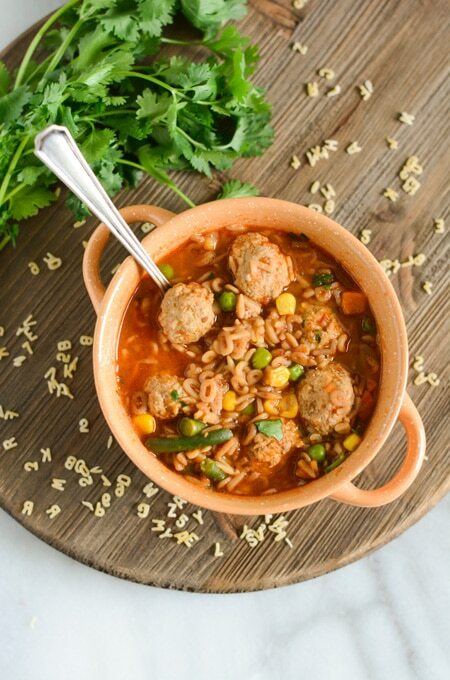 With Fall right around the corner, I wanted to post this comforting Mexican Alphabet Soup with Turkey Meatballs as soon as possible. It’s a couple of my favorite childhood meals all in one! Alphabet soup and Fideo! The way the pasta is cooked is much like the way my grandma makes her Fideo. 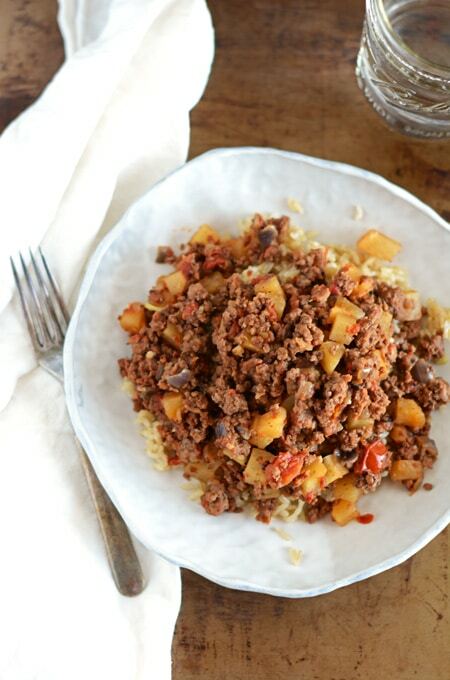 By frying the noodles, and browning them you are giving the pasta flavor. 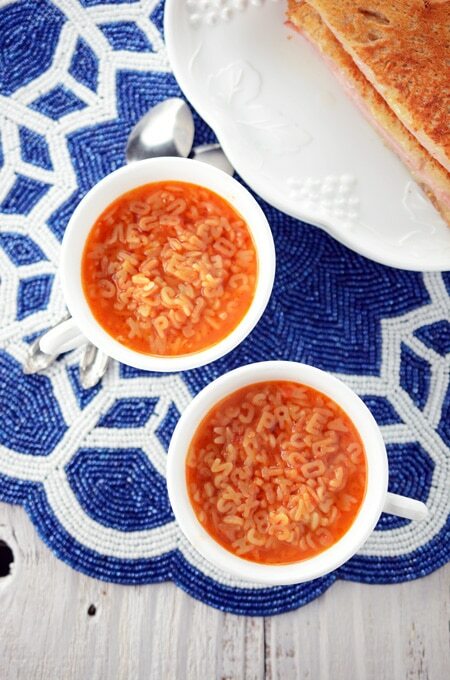 That toasting process and some simmering time is what gives this soup its wonderful flavor. If you can’t find alphabet pasta in the pasta aisle at your local grocery store, try looking in the international foods aisle. Any other small pasta will do if you can’t find alphabet pasta. 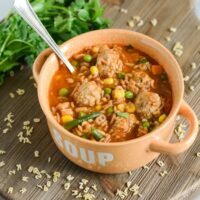 If you make this soup, I would love to know how it came out in the comments below! 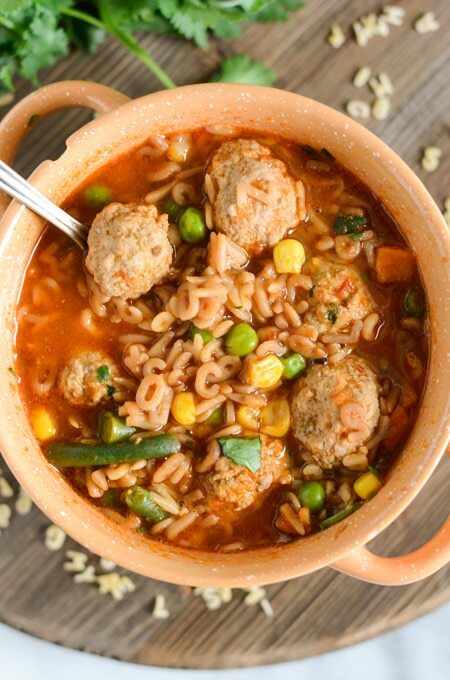 An easy to make soup with alphabet pasta, veggies and turkey meatballs. Fill a food processor or blender with tomatoes, onion, and garlic and process until smooth. 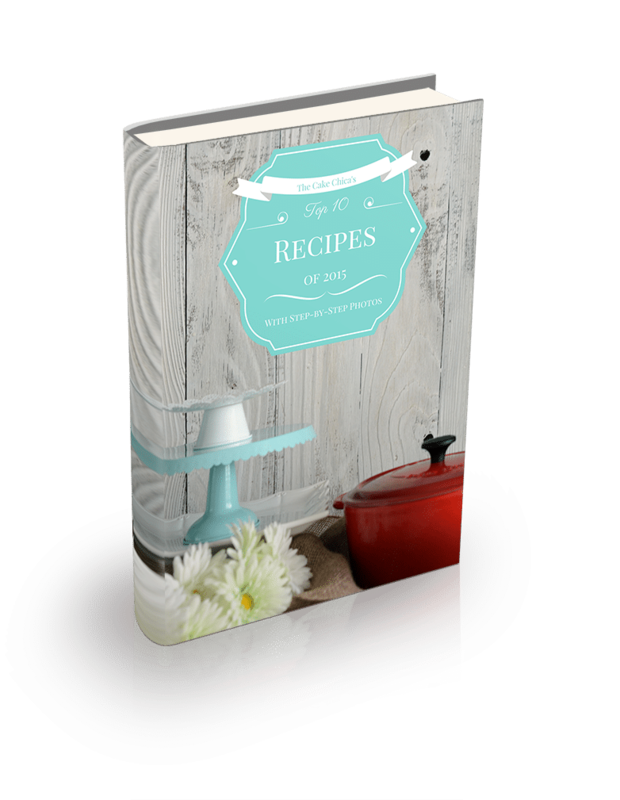 Add oil to a large saucepan or Dutch oven and heat over medium heat. Once the oil is hot, add pasta and fry until pasta turns brown and starts to smell toasty, stirring frequently, about 8 minutes. Pour the tomato puree into the Dutch oven with the pasta. Season with salt and stir to combine. Partially cover the Dutch oven and cook for about 6 minutes. Stir occasionally until the sauce thickens and turns dark red. Keep stirring to keep the pasta from sticking to the bottom of the Dutch oven. Stir in the chicken broth and bring to a boil. 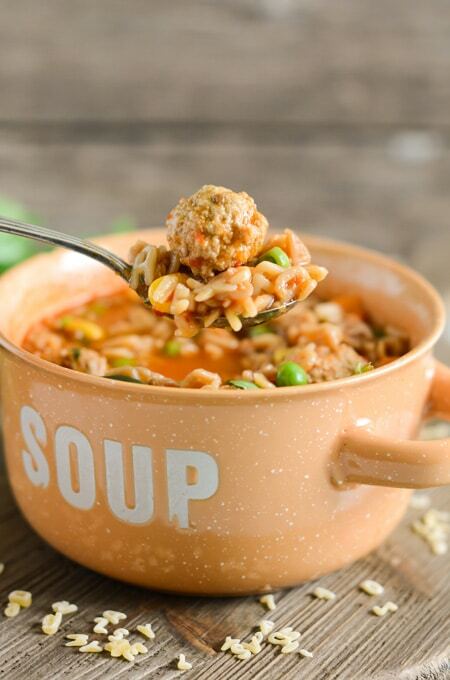 In a bowl press ground turkey together in a ball and make 1 teaspoon sized meat balls. 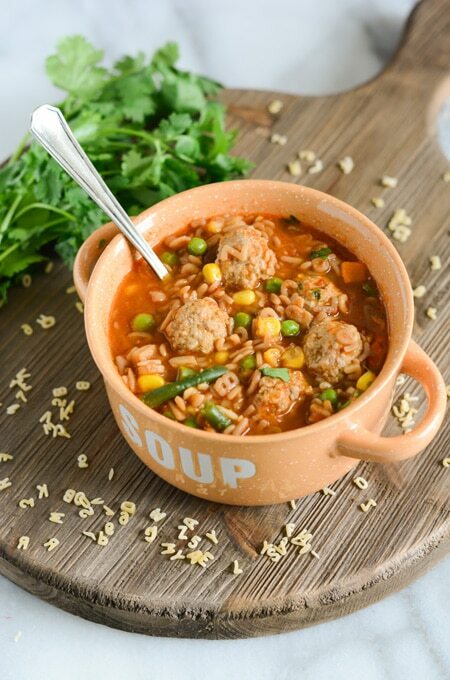 Add turkey meat balls to the soup and simmer for 30 minutes. Add frozen vegetables, stir and cook for 5 minutes. 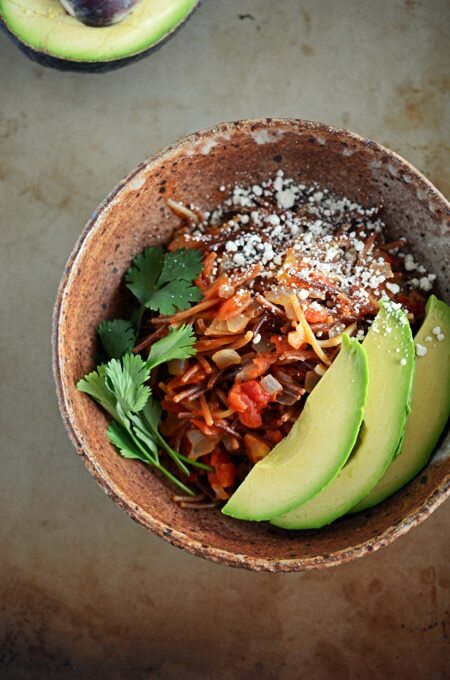 Sprinkle chopped cilantro on top and serve.